I wanted to ride my new bike today and test it out on the Black Hill trail, but I started having a sore throat late last night. When I got up this morning, I knew I’d caught a bug. I tried to ward off further symptoms by downing Wellness Formula pills and Zicam tablets and Halls cough drops all day, but at this point now I’m pretty sure it’s a virus and I can’t stop it. Sean and I did leave the house this afternoon to run a couple of errands and grab some lunch, and when we got back home, I noticed how much our little front yard has been thriving. The rain from the past week did a lot to bring some life back into my plants. I’m not much of a gardener– I prefer the overgrown wilderness look. 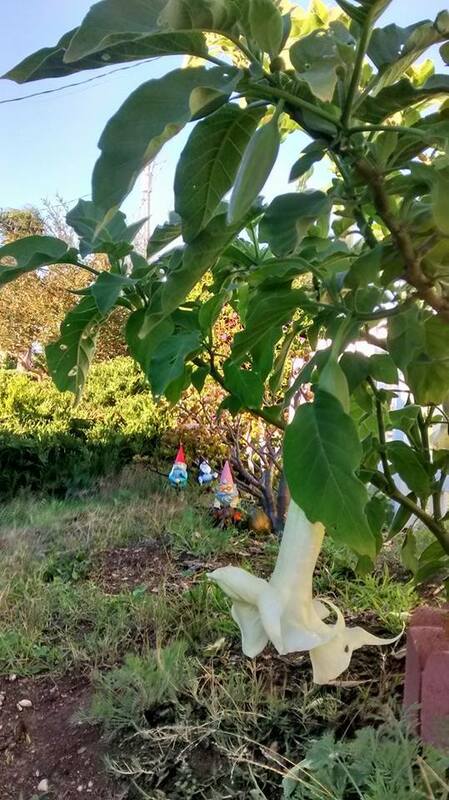 I think it makes a better habitat for my gnomes. 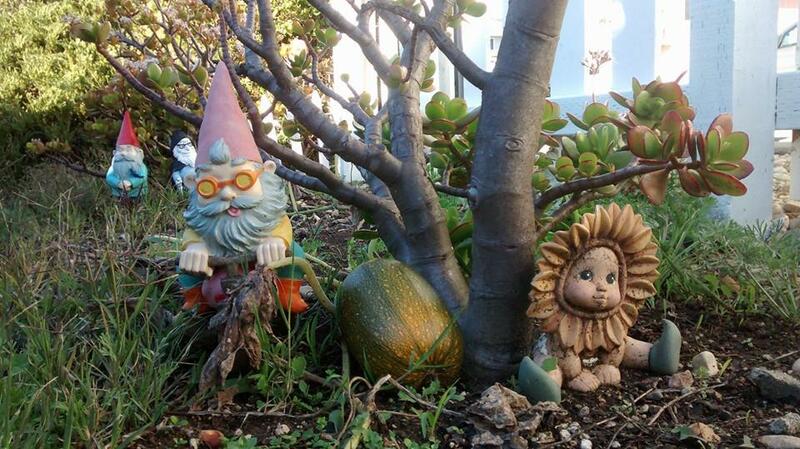 Categories: Adventures with Sean | Tags: garden gnomes, Morro Bay, pumpkins, Sean | Permalink.